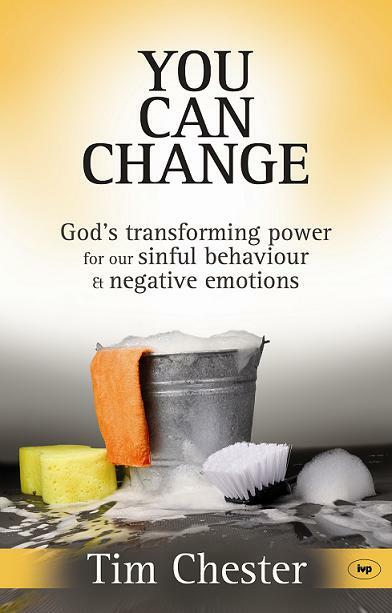 You Can Change: God’s Transforming Power for Our Sinful Behaviour and Negative Emotions, my book on sanctification, Christian growth and pastoral issues is now out from IVP-UK. It was actually out a month a go, but I forgot to post about it. Here’s a sample chapter: Chapter Five: What Truths Do You Need To Turn To? Any plans for a U.S. release? Also, will your and Steve’s books be available for purchase at the Total Church Conference next month? No plans for a US release as yet. Yes, some of our books will be available at the conference. Tim, just home from a holiday which included reading your book. Absolutely brilliant – I’ll blog a review sometime in then next week or so. This is a book I’ve been waiting for that pulls together so many of the things I’ve been thinking and says them so coherently. You’ve served us well. Thank you. Tim, just read ‘You can Change’ and found it so helpful – in terms of some of the folks I am working with it confirmed some of the directions I was trying to move in; and also opened up to me some stuff that I realised I had just contented myself with as being ‘part of me’ and lost all desire to change in. Thanks. Couple of things. I presume you don’t have any objections to folks like myself developing a small group course in Church off the back of the book? And secondly, I’m looking for some further help in thinking through the mind/heart issue. In order to change there are truths I need to accept, recognise, trust and believe – and I need to turn from lies I have believed. But then there is the question of affections – right desires etc. I was having a long conversation with an unbeliever yesterday as part of an ongoing dialogue & friendship we are having – essentially ‘he thinks with his heart’; and I am encouraging to believe with his mind – yet addressing the need for him to recognise where his affections & desires are just now. That’s not very well explained at all – but hope you maybe can respond? Is it chicken and egg – which comes first? Or do we always need to address issues of truth & the mind before we can address issues of desires & the heart? Hi Tim Chester: I have read your book “La responsabilité du Chretien face a la pauvreté. I have a call in social change and i was looking if you have a web site or a blog where i could share with you about évangelisation and social change.